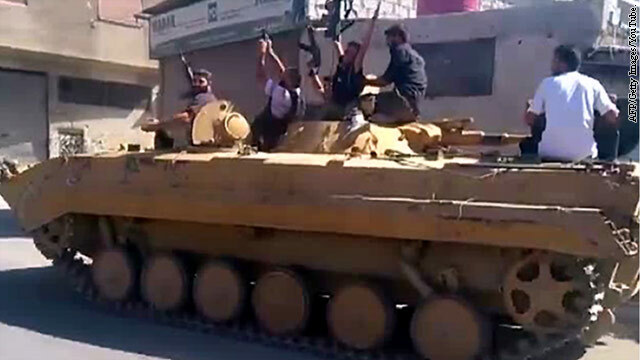 As more areas in Syria slip from control of the Syrian military, the United States is training local opposition members how to run a local government free from the grip of the Assad regime. The State Department says it is running "training programs" for the members of opposition local coordinating councils in "liberated" areas who are beginning to re-establish civilian authority. The programs help them on issues of civil administration, human-rights training and other services. The council members are learning "the kinds of things that they might need from the international community as they begin to rebuild their towns," State Department spokeswoman Victoria Nuland said in her Wednesday briefing. "They're asking for help in how to budget. They're asking for help in how to keep utilities running. How to ensure that the institutions of the state that, you know, provide services to the population, come back up and running. So we are open to supporting all of those kinds of needs," she explained. 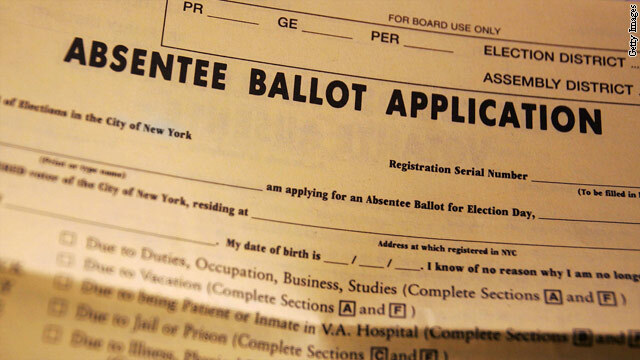 Military requests for absentee ballots are remarkably low this year, according to a recent report from a military voting advocacy group that faults the Defense Department with not providing mandated voter assistance to service members. "The absentee ballot data for 2012 paints a bleak picture for military voters," a report from the Military Voting Participation Project says. In Virginia, North Carolina, and Ohio less than 2% of all active-duty military members and their spouses have requested absentee ballots for the November election. And between 5% and 8% of military voters in Illinois, Colorado, Nevada and Alaska have made the request. The report also cites less extreme examples, as in Florida where almost 16% of those eligible have requested ballots. States profiled were those that had the most accurate and up-to-date information, according to the group. The report estimates roughly two-thirds of all military voters would need an absentee ballot to vote because of their location at the time of the election. The publisher of a firsthand account of the raid that killed al Qaeda leader Osama bin Laden said Tuesday it was moving up its release date by one week to September 4. Dutton, a subsidiary of Penguin Group USA, said the book will come out early because of "overwhelming excitement in the marketplace."